The Centre for Bat Research and Conservation (CBRC) is a Romanian NGO established in 2017, by several bat enthusiasts across Romania. While our organization may be young, our members experience in bat research and protected areas spans over 15 years. The CBRC’s purpose is to research and conserve Romanian bats (Chiroptera), as well as their habitats and roosts, in order to protect nature in general, and to strive towards a healthier environment for us all. To research the Romanian bat fauna bats using traditional and modern methods of chiropterology. 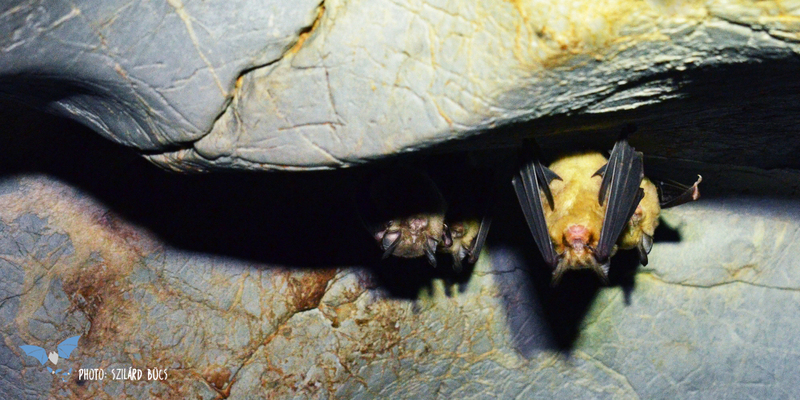 To implement projects for the conservation of Romanian bat species and/or for the durable protection of well-defined locations (caves, buildings, habitats, Natura 2000 sites, etc.). To use nature-, and environment-friendly methods in bats research, in order to reduce disturbance to bats and the environmental footprint. To monitor the bat fauna of Romania, the effects of conservation actions, to highlight trends in populations and/or colonies, in order to identify and counteract the negative effects of human activities. To encourage and facilitate the participation of numerous interest groups in the monitoring and conservation of Romanian bats. To promote the conservation of bats and nature in general, by informing, raising awareness and engaging the public. To integrate those outdoor activities into the research and conservation of bats that have a negligible or zero impact on nature. To maintain and improve the Romanian bat portal www.lilieci.ro. To encourage and facilitate the professional training of CBRC members in chiropterology and related fields, necessary for the implementation of CBRC projects and for achieving our purpose and objectives. To inform decision-makers about the status of the Romanian bat fauna, about projects and activities having a negative or positive effect on the bat fauna, as well as on technical solutions for eliminating or mitigating this impact, or possible compensatory measures. To maintain and improve professional ties with those organizations in Romania and abroad, who are directly or indirectly involved in the research and conservation of bats. To contribute to the research and conservation of bats at the international level. To provide expert advice and technical solutions for projects that may affect the bat fauna of Romania. To provide advice for the public in case accidental contact with bats. To develop economic activities that facilitate the self-financing of CBRC activities. The Lilieci.ro portal was developed during the project “Uniting the efforts of the Romanian bat conservation“, coordinated and implemented by Szilárd-Lehel Bücs, in frame of the 2015-2017 Klaus Toepfer Fellowship Programme. The Lilieci.ro portal was born with the significant contribution of several companies, organizations and individuals. Thank you! As of November 2017, the lilieci.ro portal is maintained and improved by the CBRC. Our purpose: The Lilieci.ro portal’s and our team’s purpose is to spread real information about bats and the benefits of their presence, but also to induce a positive change in the public attitude concerning bats. We wish to emphasize the necessity and importance of bat protection, and at the same time to become the central online platform of the Romanian bat research community, in order to join our efforts, and thus present our results to the public. Our vision: We believe in a world where there is possible a co-existence with bats, a world where all bat colonies, regardless of size, are protected, where the public no longer believes that bats get entangled in our hair, and a world where we respect Nature and fellow human beings, by realizing our permanent connection. There can never be enough bat lovers!!! And bat organisations. Good luck!